Here we are in 2017, over 40 years since the mass infections to thousands of haemophiliacs through the use of contaminated blood products began. With your help I believe we can push this petition to the 10,000 signatures required to warrant a response from the British government. Please help if you can by signing. The government must accept responsibility for the worst treatment disaster in the history of the NHS. 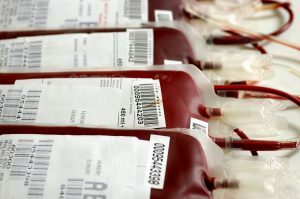 The contaminated blood scandal has cost the lives of over two thousand people with bleeding disorders such as haemophilia. This was a totally avoidable tragedy and those who remain alive are seriously ill with Hepatitis B, C, HIV and exposure to CJD. We have not been compensated for the extreme harm to our health nor had a public inquiry since it began in the 1970’s and 1980’s. Despite cross-party support calling for proper compensation there appears to be no political will from the Department of Health or the prime Minister. Despite a long awaited apology which was finally delivered by David Cameron last year, there is still no meaningful compensation for victims, and justice is denied. MPs were deliberately blocked a few years ago by party three-line whips from having the opportunity to debate Lord Alf Morris of Manchester’s Contaminated Blood Bill in the house of Commons. If the Bill had been heard and passed, it would have given legal implementation of all the recommendations made by Lord Archer of Sandwell in his independent report in 2009, but once more the government denied the victims proper acknowledgement of their suffering. It is an absolute disgrace that no government will accept their moral responsibility to acknowledge the wrongdoing of past governments, but choose to sweep it under the carpet and hope the public won’t find out about this blood scandal. If lessons can’t be learned and the government doesn’t accept responsibility for the NHS contaminated blood scandal, then what is effectively biological murder will continue to be ignored. What’s more, the British public should be concerned because the government has recently sold Plasma Resource UK, the company which supplies plasma and other blood products to the UK to a venture capitalist Bain Capitol. Bain Capitol is an asset stripping company whose sole interest is making money. Haemophiliacs were not protected by the state, so how can we trust it to protect the rest of the British public and to supply safe blood supplies for the future? We the public must demand that this government acknowledges the sins of the past and explains why they have now endangered the safety of every UK citizen, by selling Plasma Resource UK to a venture capitalist. Please support the call for a public inquiry and force the government to tell the truth. I am a victim of the last blood scandal and I have been forced to live off scraps of money from inadequate trust funds, which are discriminatory and divisive in the way they have been set up. The final insult is that ATOS and the DWP are now trying to force the victims, many of whom are facing liver failure and cancer, back to work even when they have been medically retired from employment. What kind of cruel government infects a community of people with state supplied contaminated blood and then insists they are fit for work? Please sign the petition now and demand that the government accepts responsibility for the NHS contaminated blood scandal. I will deliver the signatures to Number 10 Downing Street and invite the media. This video is about the hemophilia population infected with HIV and hepatitis.